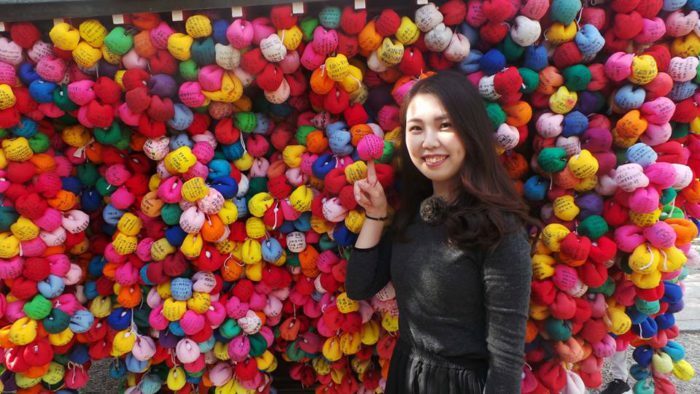 Japan is a very safe and convenient country so it is doable to plan for your own excursion! 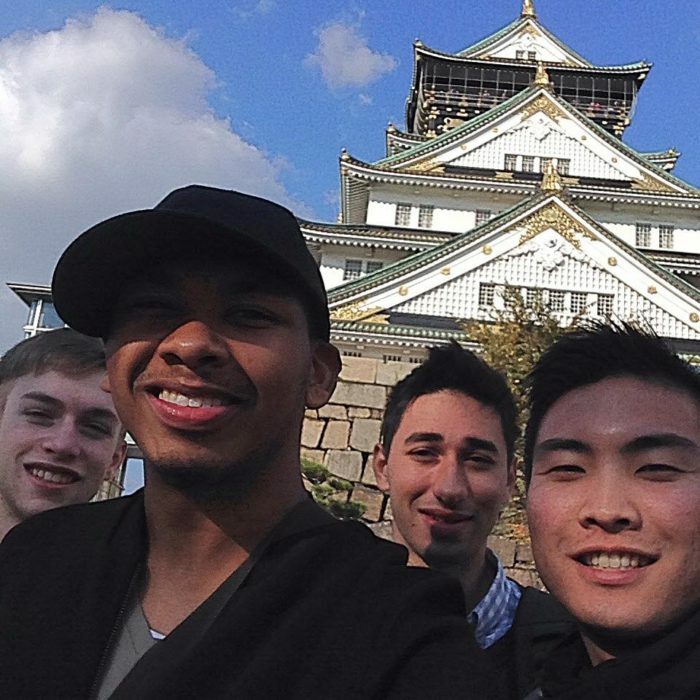 On November 1, 2016, I had the privilege to venture out to Osaka and stay with a good friend of mine. I went to many places and met many friends. I can’t wait to go back again! Nov. 1: I was surprised to see my dear friend Mayo again after about a year of not seeing her. I met her mother for the first time, and she drove us to their house. Mayo and her parents were shocked and excited to be able to speak to me in full Japanese. The mother prepared a warm meal and sleeping accommodations for me. It was definitely a evening I can’t forget. It was nice meeting my friend, Mayo, again in Osaka! Nov. 2: Mayo was sick, so I decided to go out alone for some shrine-hopping. I found two Sanada Yukimura statues! He is one of the most famous warriors during the Sengoku Period. He fought for the Takeda Clan, his own clan, and eventually died along with the Toyotomi Clan during the Siege of Osaka in 1615. I also found numerous shrines and temples within the Osaka area, including Shitennoji, Japan’s first and oldest Buddhist Temple. 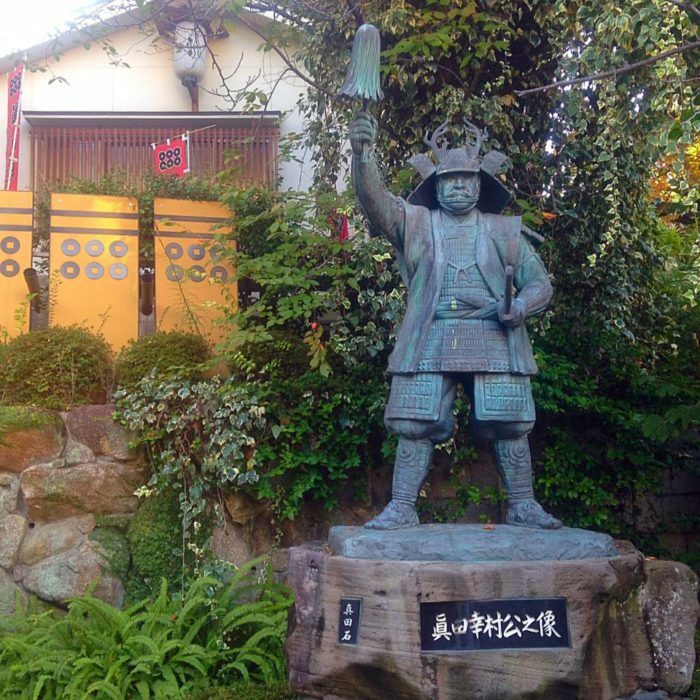 One of the statues of Sanada Yukimura that I found! Nov. 3: I traveled to Osaka Castle alone, and saw various artworks and artifacts based on the Sengoku Period and highly involving the samurai who participated in the Siege of Osaka. The area was extremely crowded, and it is easily the most crowded castle I have ever been to. At the top floor, I had an unexpected encounter with three guys from the Japanese Studies Program: Aaron Fong, Raza Zaidi, and Max Thompson. I didn’t even contact them prior to us meeting! 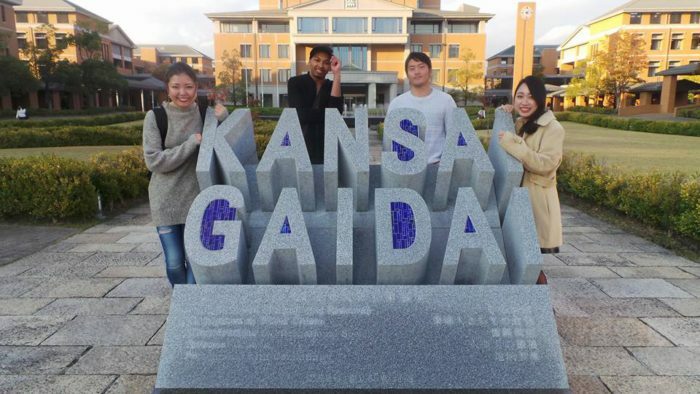 After we parted ways, I headed to Kansai Gaidai University to visit my friends who were once exchange students at Towson University. We talked about the old days and our futures while they gave me a tour of the school. 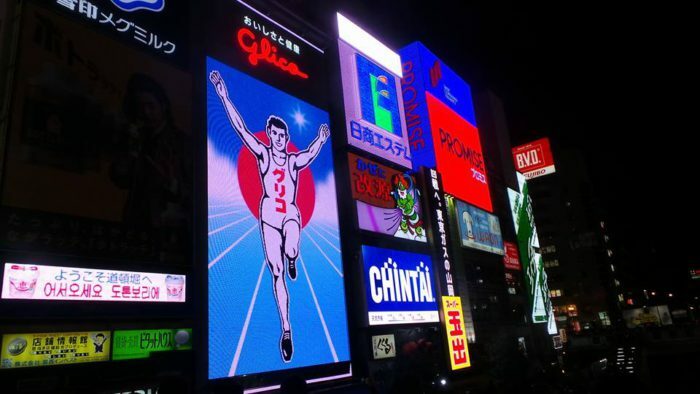 The last stop was the beautiful Dotonbori, a shopping center with huge billboards and flashy restaurants. Here, you can find products from the famous confection company Ezaki Glico (or Guriko) and the best takoyaki (octopus dough ball snack) Japan has to offer! Nov 4: Mayo recovered, so we headed out to Kyoto for a nice stroll. I saw Ryozen Kannon, a memorial commemorating the fallen soldiers in the Pacific War. Also, I visited some sites that were so beautiful, but I can’t even remember or pronounce the names! But one name I do remember is Kiyomizu-dera, founded in 778 (Heian Era) and modernly constructed in 1633 by Tokugawa Iemitsu. 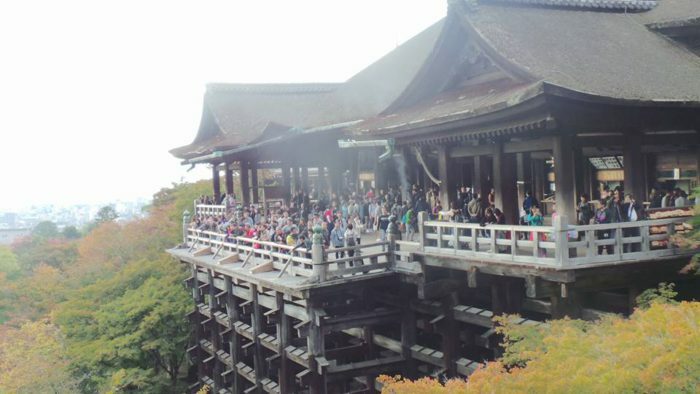 Kiyomizu literally means “pure water”, and not one nail was used during its construction. Amazing, right? At Kyomizudera. This massive architecture work was built without a using a single nail. Amazing! That night, I headed back to Saitama to spend time with my host family. It was a trip I hope to duplicate, and if lucky enough, live there for a time. I strongly recommend visiting the Kansai Prefecture! 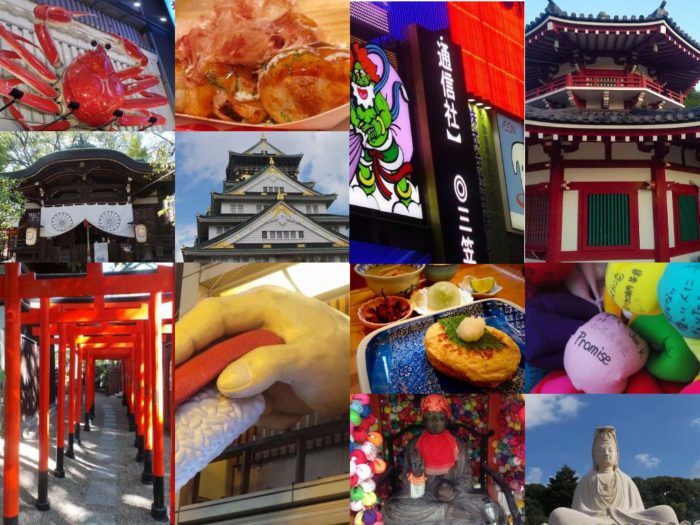 There are still a lot more to see and experience while you are in Kansai! Be sure to watch the upcoming mini-series “DOREO X KYOTO” to see exactly what I saw during this wonderful sight-seeing adventure! PS: Peach Airlines is the cheapest option for flights in Japan. I only spent around $140 for a round trip to Kansai International (KIX) Airport. Try it!